The Lackmond TB14T10 14 in. 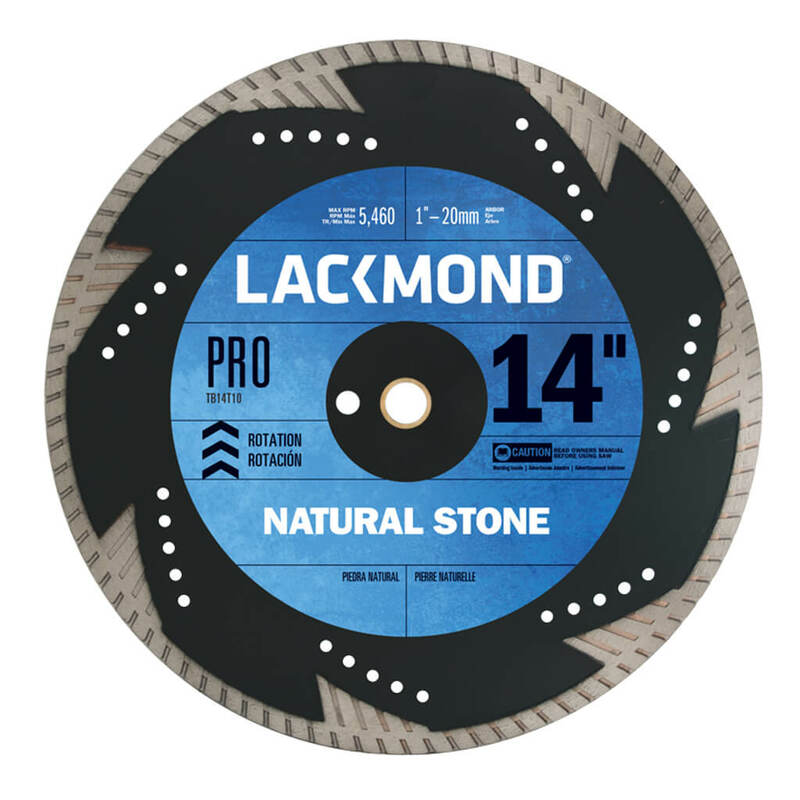 PRO Series Natural Stone Hard Materials Turbo Blade is designed for use on hard aggregate where a clean cut is essential. They are ideal in the stone, granite and marble industries. The PRO Series Hard Materials Blades are engineered with a soft-bonded matrix and employs an air-cooled core and unique “teeth” that extend towards the core. The extended diamonds in the steel core create a smooth, clean cutting edge.